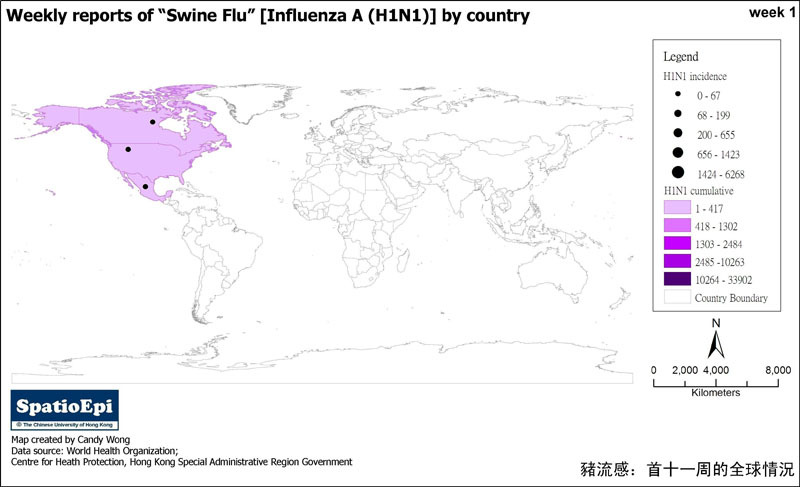 In the summer of 2017, increased seasonal influenza activity imposed a great burden on public healthcare services in Hong Kong. 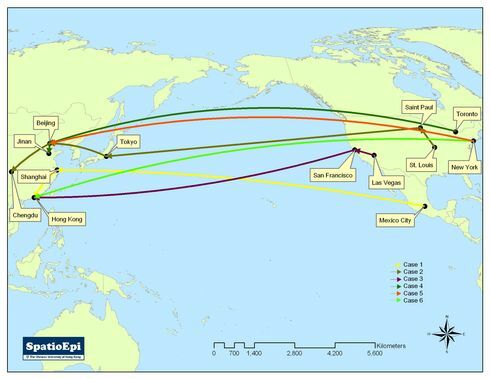 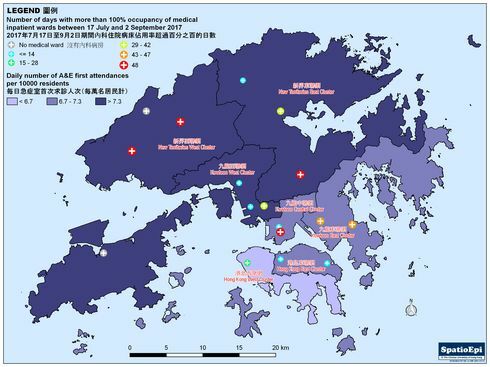 The map shows the demand of accident and emergency (A&E) services in seven Hospital Authority Clusters and the usage of medical inpatient wards in eighteen hospitals with A&E services between mid-July and early September in Hong Kong. 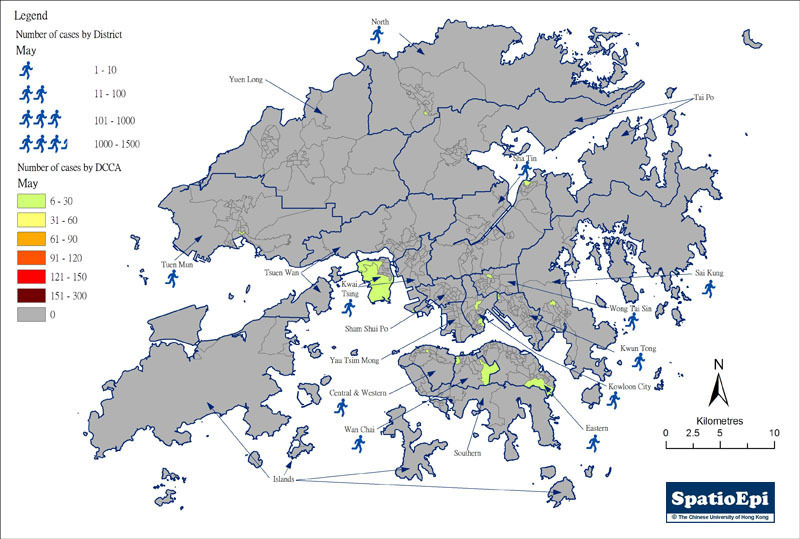 As depicted by graduated colours, the number of first A&E attendance per 10000 residents was generally higher in the New Territories. 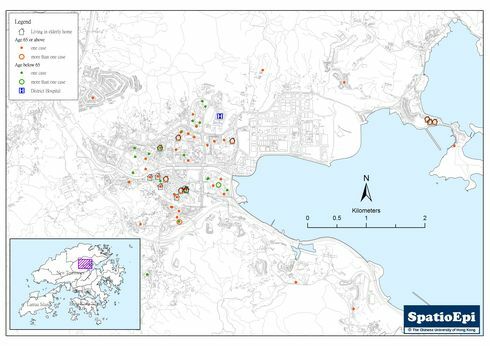 Medical inpatient wards of four hospitals, indicated by red dots, were fully occupied during the entire period. 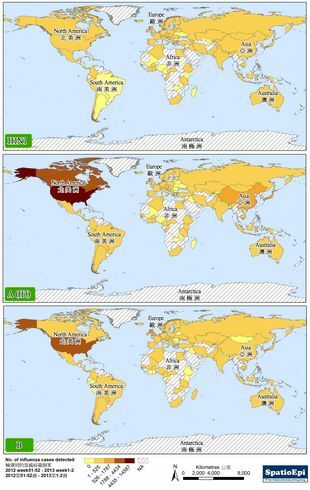 Of these, three were located in the New Territories. 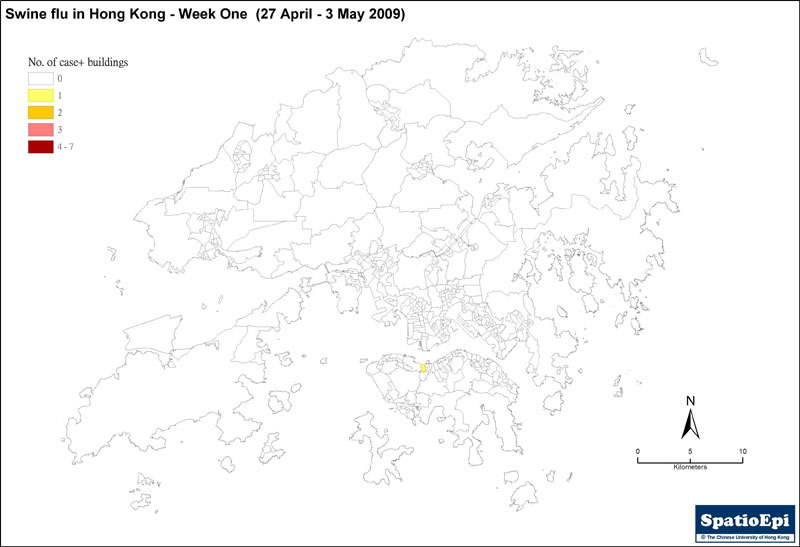 Two other hospitals in Kowloon East also had their medical inpatient wards fully occupied for most of the time. 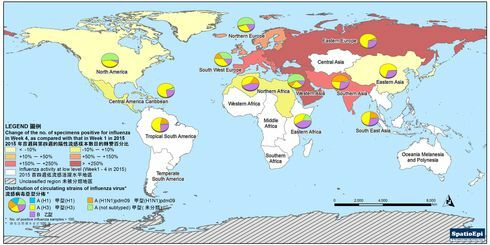 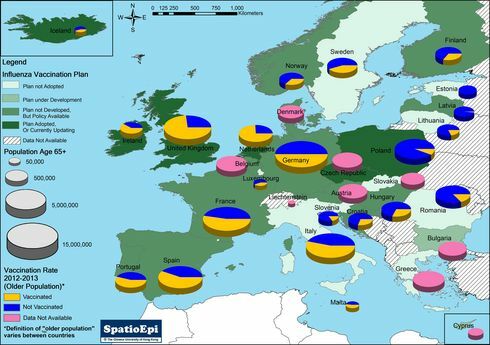 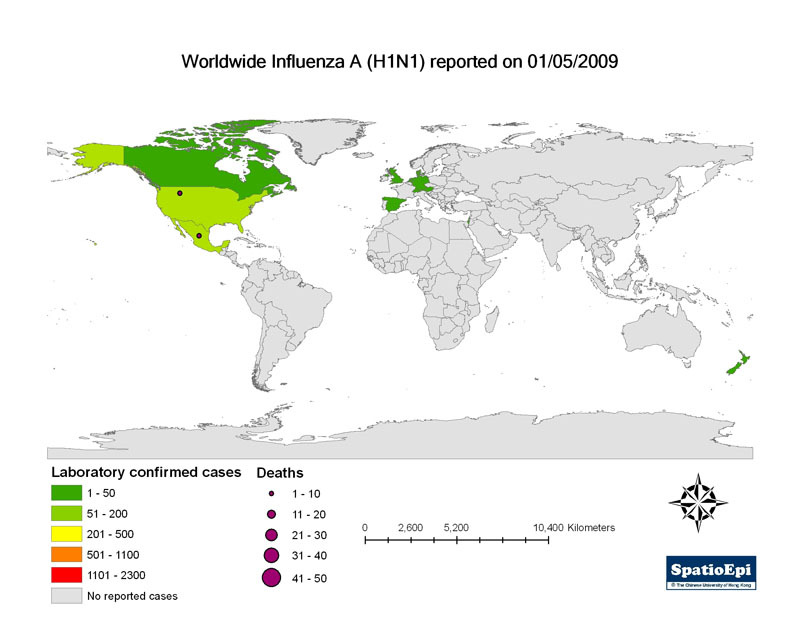 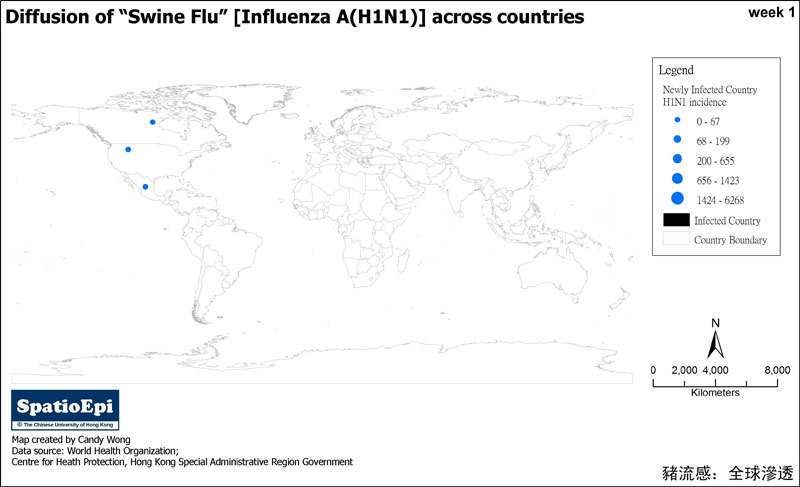 The impact of seasonal influenza on public healthcare services varied geographically for a number of reasons, such as demographic characteristics, patients’ health care seeking behaviour, as well as the healthcare resource allocation among Clusters. 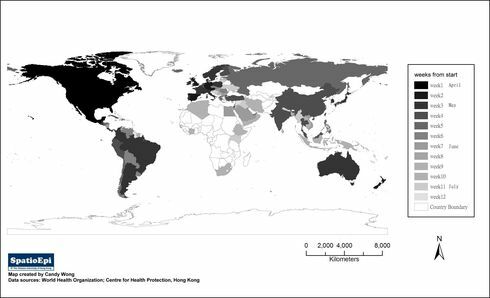 Data for the map were obtained from daily press release issued by Hospital Authority between 18 July and 3 September 2017.